Agape Latte is a series of speakers in a welcoming setting discussing faith and life. The program was initially conceived at Boston College in 2006 but has since spread to campuses nationally, and reached RIT in 2016. Held at the Fireside Lounge in the Campus Center, a faculty, staff, or administrator at RIT shares their story while students relax over a hot drink and delicious treats. The floor is then opened for questions and discussion. 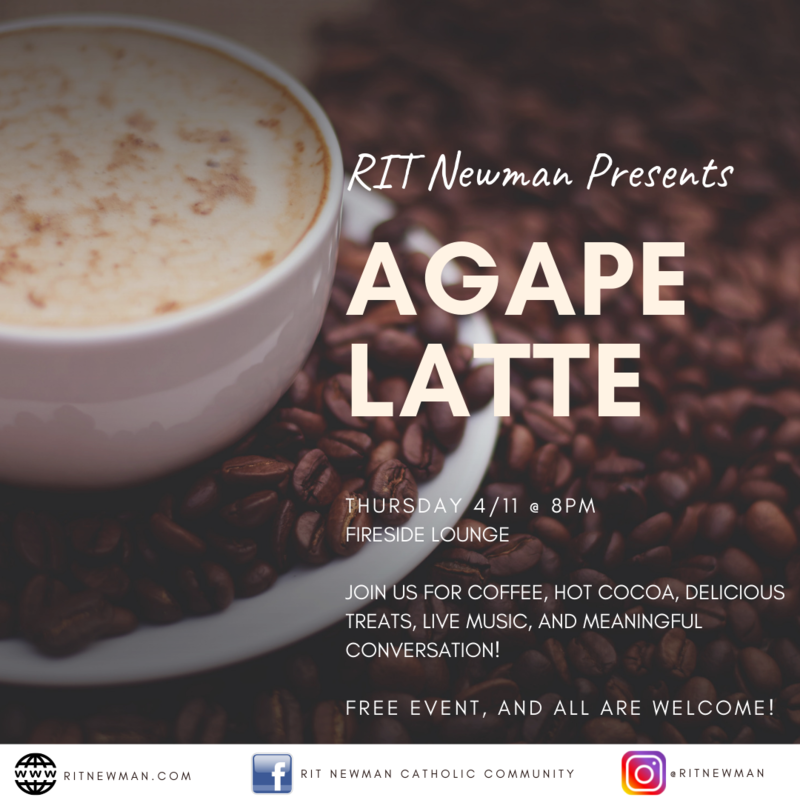 Some of our inspirational speakers for RIT Agape Latte's include: Ernest Fokoue, Mike Malorini, Kathryn Horan, Kathy Hall, Drs. Bill Destler and Rebecca Johnson, Dr. and Nancy Munson, and Coach Cliff Devries. Our next Agape Latte is Thursday 4/11 at 8pm in Fireside Lounge! Join us for refreshments, fun, inspiration, discussion, and live music!